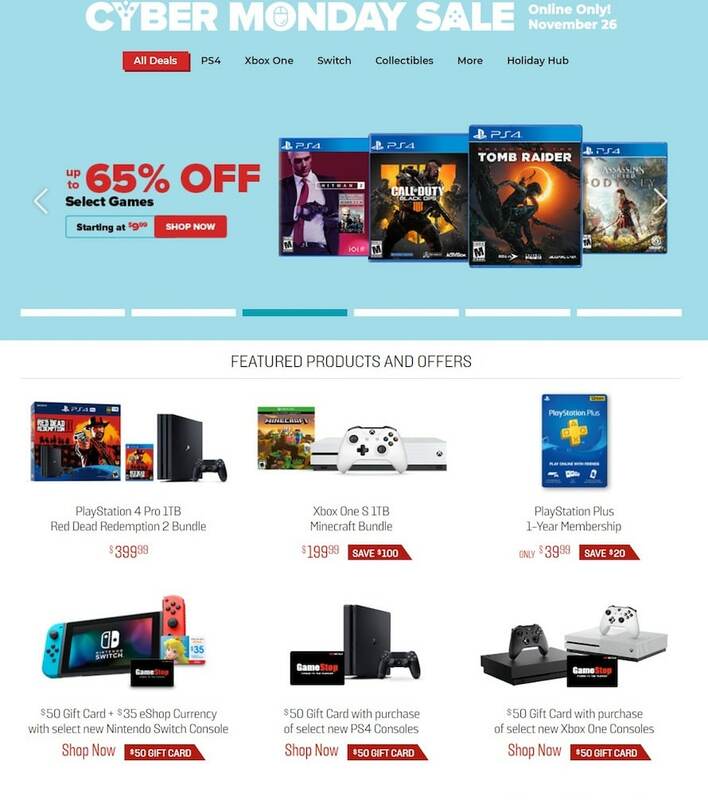 View GameStop Cyber Monday 2018 Sale valid Monday, November 26. 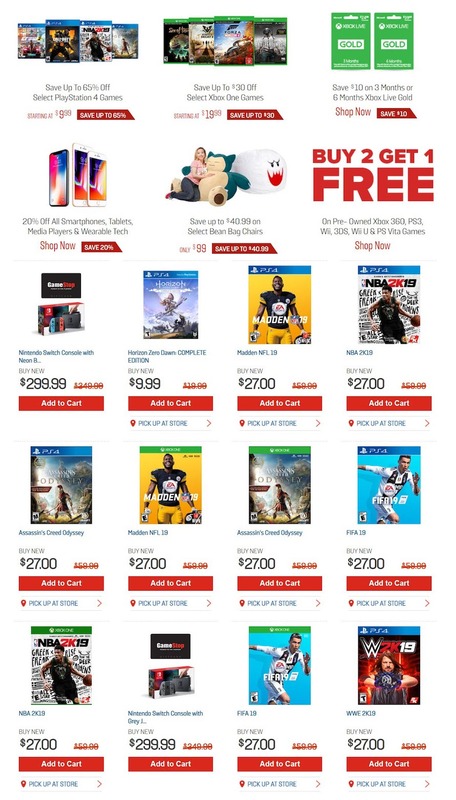 Save with this year GameStop Cyber Monday deals, including Assassin’s Creed Odyssey PS4, Shadow of The Tomb Raider PS4, Call of Duty: Black Ops 4 PS4, HITMAN 2 PS4, Select PlayStaton 4 Video Games, Select Xbox One Games, Xbox Live Gold 3 & 6 Month Membership, Select Bean Bag Chairs, Pre-Owned Video Games, Nintendo Switch Console with Neon Blue and Red Joy-Con with $50 GameStop Gift Card, Horizon Zero Dawn COMPLETE EDITION PS4, NBA 2K19 PS4, Nintendo Switch Console with Grey Joy-Con with $50 GameStop Gift Card! 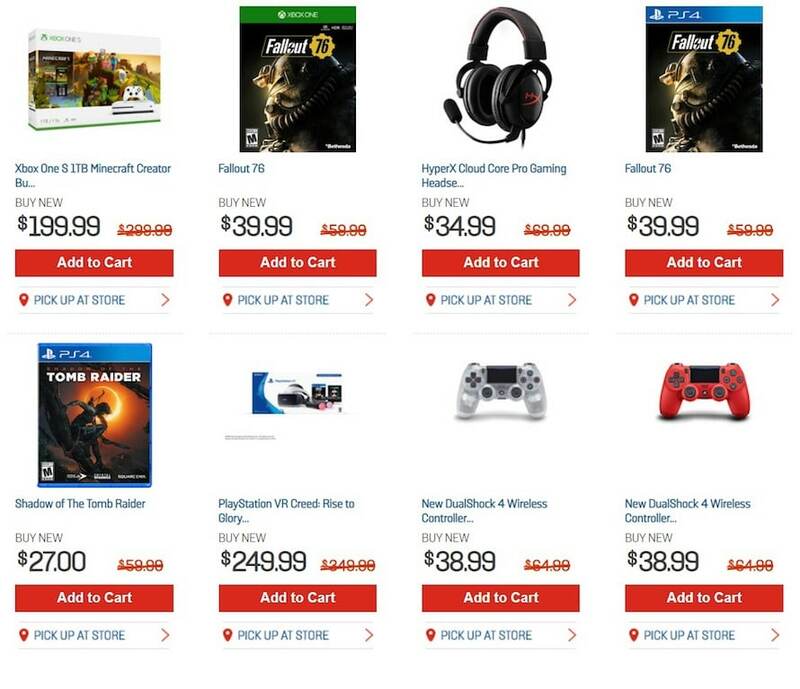 Don’t forget to check this year GameStop Cyber Monday deals before heading out to shop.